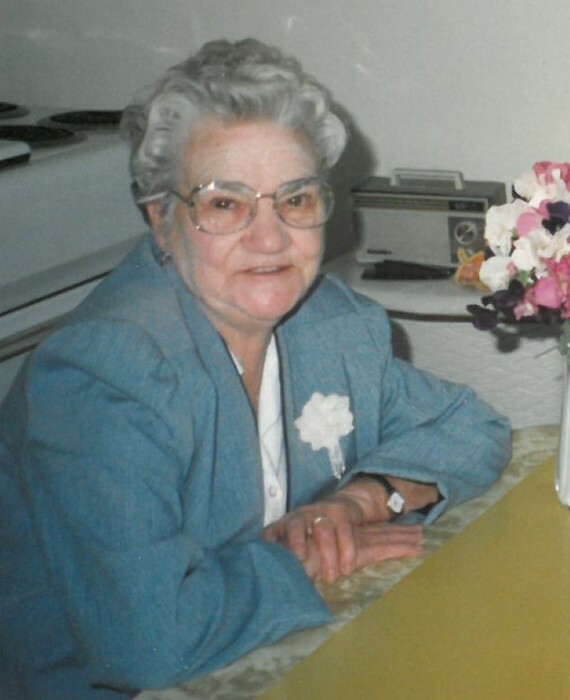 Obituary for Irene Bailey | Swan Valley Funeral Services Ltd. It is with great sadness that the family of Irene Mary Bailey announce her passing on Saturday, December 15, 2018 at the Swan Valley Lodge at the age of 96 years. Irene was born in Killarney, Manitoba on September 10, 1922 to William and Mary Hickman. She moved to Bowsman with her family in May of 1934 where she continued her education. After she finished school, she was employed by families doing household duties. She married her husband Harold Bailey in 1943. They had two daughters, Marion and Lois. They farmed in the Lavender District then in 1953 moved into the town of Bowsman where she worked in Aldrie Helps grocery store, until they went into the restaurant business in 1958, and continued in this until retirement. She was predeceased by her husband Harold; her parents; brothers Tom, Cecil, George; sister in laws Betty, Thelma and Alice Hickman; and son in laws. She is survived by her daughters Marion Brook and Lois Meyn; grandchildren Miles (Rose) Brook, Sheri (Eric) Inman, Kent (Angie) Meyn; eight great grandchildren and two great great grandchildren; sister Kay (Allan) Tall; and numerous nieces and nephews. The funeral service was held on Thursday, December 20, 2018 at 2:00 p.m. from the Chapel of Swan Valley Funeral Services, Swan River, Manitoba with Pastor Bob Lewis officiating. Interment followed in the Bowsman Cemetery. If friends so desire, donations in Irene’s memory may be made to: Swan Valley Health Facilities Foundation, Box 1450, Swan River, Manitoba R0L 1Z0. Swan Valley Health Facilities Foundation Inc.